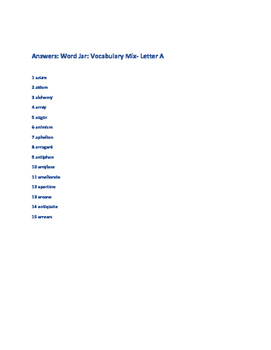 This is a word jar/ vocabulary mix covering a diverse selection of words beginning with the letter A. 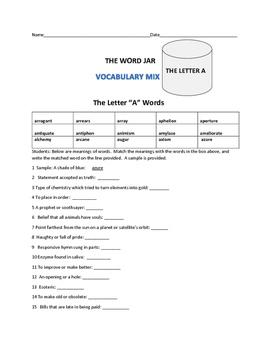 It is a fill in activity with a word bank. Have fun! The words are challenging.